Learn more about the Kaplan Humanities Scholars Program. 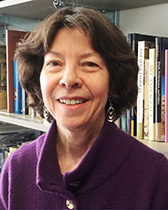 Ann Gunter (Art History, Classics, Humanities) is an art historian and archaeologist whose research and teaching focus on the ancient Mediterranean and its neighbors in the Near East, including Mesopotamia and Iran. She is especially interested in cultural and artistic interaction between Greece and the Near East in the early first millennium BCE. She is the author of Greek Art and the Orient (Cambridge 2009) and the editor of A Companion to Ancient Near Eastern Art (Wiley-Blackwell, forthcoming). She is the Bertha and Max Dressler Professor in the Humanities. Emily Maguire (Spanish &amp; Portuguese; Latin American and Caribbean Studies; Latina/o Studies) specializes in literature of the Hispanic Caribbean and its diasporas. She has taught courses on Latin American and Latina/o Literature and cultural production, Latin American science fiction, race in the Americas, and the relationship between literature and ethnographic writing. Emily is the author of Racial Experiments in Cuban Literature and Ethnography (University Press of Florida, 2011). Her current book project explores the uses of science fiction in recent Caribbean narrative. 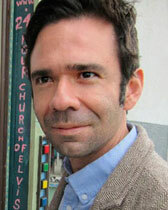 Juan Martinez (English and Creative Writing) is a professor of creative writing and contemporary literature. He is the author of Best Worst American, a story collection. His current work explores the fantastical in the coast of Colombia. His stories have appeared in Glimmer Train, McSweeney's, Huizache, Ecotone, NPR's Selected Shorts, and elsewhere, and are forthcoming in Mississippi Review and the anthology Who Will Speak for America? 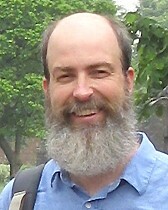 Mark McClish (Religious Studies) specializes in classical Hinduism, with a focus on early South Asian legal and political literature (dharmaśāstra and arthaśāstra). He holds a Ph.D. from The University of Texas at Austin in Asian Cultures and Languages with a specialization in Sanskrit and Indian Religions. He is the co-author of The Arthaśāstra: Selections from the Classic Indian Work on Statecraft (Hackett, 2012) and is currently completing a manuscript examining the textual history of the Arthaśāstra. His areas of teaching include Hinduism, religion in classical India, Hindu law, and politics and religion. 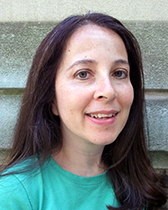 Cynthia Robin (Anthropology) is an archaeologist and anthropologist. Her research focuses on the ancient Maya civilization where she has been conducting archaeological research for the past 30 years. She studies the impacts that ordinary people can have on their societies and how ancient Maya society can hold answers to understanding the nature of sustainable societies. 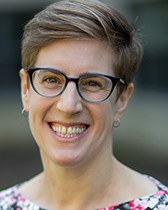 She is the author of Everyday Life Matters: Maya Farmers at Chan, the Director of Undergraduate Studies in the Anthropology Department, and a winner of the Karl Rosengren Faculty Mentoring Award. Kelly Wisecup (English; Center for Native American and Indigenous Research) researches and writes on Native American literatures and science, especially before 1900. She has taught courses on protest and the Native American novel, colonialism and disease, race in the early Americas, and science and literature. 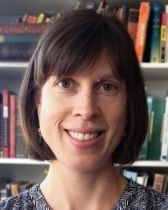 She is the author of Medical Encounters: Knowledge and Identity in Early American Literatures (2013) and is currently working on a book about Native American interventions into evolutionary and ethnographic sciences before the twentieth century.